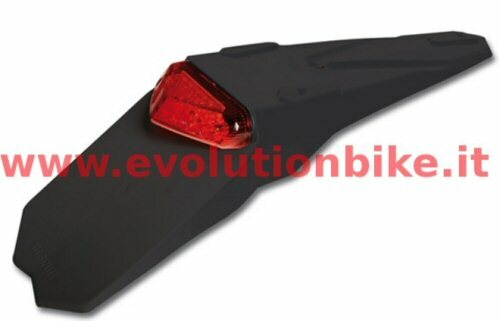 Black plastic rear fender with 15 led red lens (brake & running light) with 2 leds dedicated to licence plate illumination. Installation hardware is included, but this part is a universal fit, so expect to do some adjusting and experimentation to get a good secure fit. This part is not legal for road use in the United States.